So yesterday I was near Topeka playing trains. 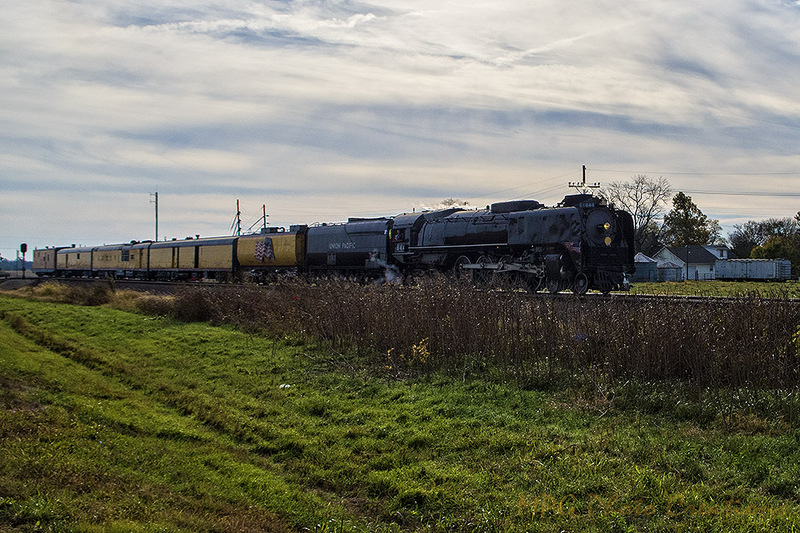 The Union Pacific 844 was heading back through the area from it's first main outing after a major overhaul and boiler re-do. 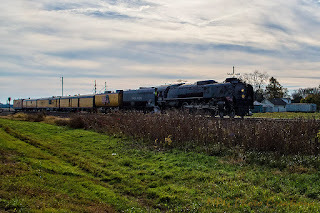 It had made a trip to Tennessee and was on it's way back home to Cheyenne, Wyoming and it had a short enough train it did not have a diesel assist with it so it was great to catch it like this. I was told it usually has the diesel to assist in breaking not for any pulling power, with the shorter train the steam power could handle it alone. I caught the train on Highway 24 just outside the city as it headed in to Union Station.